This is one to brighten up your commute. For five days this month Londoners can pick up thousands of FREE tubs of tasty ice cream. Granted it’s not an obvious time of year for this giveaway, but who cares. 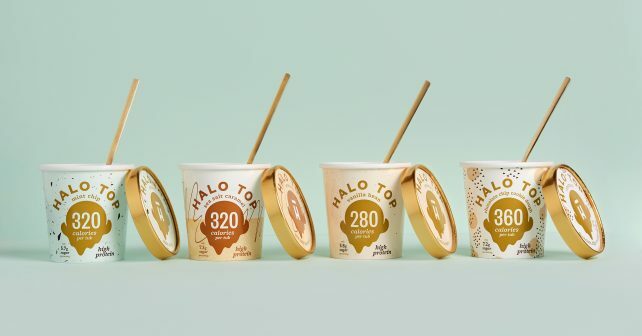 Staff will be giving out 1,000 heavenly Halo Top ice creams a day for five days to travellers who need an after work pick-me-up at either Euston or Clapham Junction stations. There’ll be seven flavours to choose from including Sea Salt Caramel, Cinnamon Roll and Chocolate Chip Cookie Dough. All while stocks last, of course. You can’t expect them all to hang round forever! It’s all part of a collaboration between the American dessert brand and dinner delivery behemoth Deliveroo so if these are your train stops keep your eyes on the prize.